On February 8, Martin’s Famous Pastry Shoppe Incorporated announced a product recall for specific products under the ‘Kay and Ray’s’ and ‘Nibble with Gibble’s’ brand snack foods. The reason for the recall is the possibility of an undeclared allergen, soy protein, in the snacks. 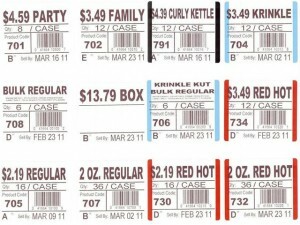 The indicated dates to sell by are from 2/9/2011 to 3/30/2011. Soy protein is one of the common food ingredients that can trigger allergy attacks in people who are hypersensitive to it. Thus, it is important that it be listed on every food item that it is an ingredient to. No related health incidences have been reported at the time of the recall. The affected products were distributed and sold in the states of Alabama, District of Columbia, Florida, Massachusetts, North Carolina, New Jersey, Pennsylvania, South Carolina, West Virginia, Connecticut, Delaware, Georgia, Maryland, New Hampshire, New York, Rhode Island and Virginia. The company has offered to provide complete refund for the recalled products. They may also call the company at 1-800-548-1200.